This CMSOnAir episode features an interview with Her Excellency Ms. María Fernanda Espinosa Garcés, president of the 73rd session of the United Nations General Assembly. President Espinosa Garcés speaks with Kevin Appleby, CMS’s senior director of international migration policy, on global migration issues in advance of the upcoming intergovernmental conference to adopt the global compact for safe, orderly and regular migration, which will be held in December 2018 in Marrakesh, Morocco. This episode features a conversation with His Eminence Joseph William Cardinal Tobin, Archbishop of the Archdiocese of Newark, New Jersey. In this interview with CMS’s Executive Director, Donald Kerwin, Cardinal Tobin discusses Catholic teaching on migrants and refugees, developments in immigration and refugee policy, ideological polarization surrounding immigration in the United States, the provision of sanctuary to migrants, and how faith communities can become more involved on immigration issues. In this episode, Paola Piscitelli, president of the Community of Sant'Egidio USA, describes the history of the Community of Sant'Egidio and explains its Humanitarian Corridors Project, including the process of identifying refugee beneficiaries and the communities to host them, the services and programs coordinated to welcome refugees, and the importance of ecumenical partnerships to serve people in need. In this episode, Fr. Thomas Reese, SJ, chair of the US Commission on International Religious Freedom (USCIRF), discusses violations of law and legal procedures by border officials, CBP and USCIS’ reliance on virtual interviews, the importance of legal representation in asylum cases, and the detention of mothers and children. Fr. Reese also discusses the global crisis in refugee protection and the proposals to deny the admission of refugees based on religion and nationality. Cecilia Muñoz, Assistant to President Barack Obama and Director of the White House’s Domestic Policy Council, joins CMSOnAir to reflect on the Administration’s efforts on immigration during the past eight years. She offers a candid assessment of the major immigration and refugee issues and challenges the Administration faced, from legislative reform to Executive action to immigration enforcement and national security. In this episode, Ms. Muñoz speaks with CMS's Executive Director Donald Kerwin on the implementation of the Deferred Action for Childhood Arrivals (DACA) program, Syrian refugee resettlement in the United States, and the government’s response to the surge of Central American unaccompanied minors and families into the country. 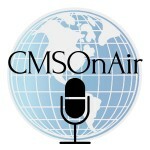 This timely episode of CMSOnAir features an interview with Linda Rabben, Associate Research Professor at the University of Maryland, on the refuge and protection of migrants and refugees – also known as ‘sanctuary.’ Professor Rabben traces sanctuary back to its faith traditions and examines its central role in past and present movements that sought to welcome, support, shelter and advocate for vulnerable populations. Her research has just been released in a second edition of her book, Sanctuary and Asylum: A Social and Political History (University of Washington Press 2016).